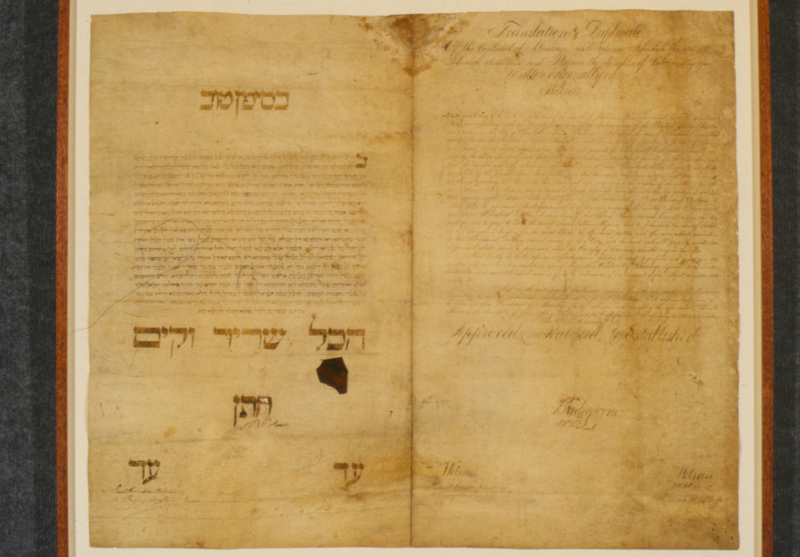 This ketubbah, or marriage contract, written in Aramaic and English and dated “73 years of the independence of the U.S.,” solemnizes the marriage of Judah B. Polock and Mary Hyams, a relation of Judah P. Benjamin. The officiating minister, Rev. 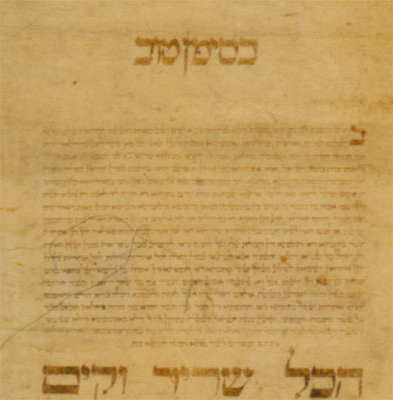 Jacob Rosenfeld, was the first hazzan of Shearit Israel and the son-in-law of Rebecca and Isaiah Moses. His wife Leonora taught Sunday school with her husband, and was a contributor to Eleanor Solomons’s album quilt.